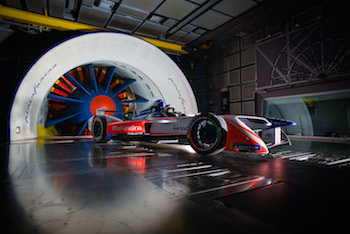 Mahindra Racing, which competes in the electric championship 'Formula E', has announced the formation of a partnership with Pininfarina that will give Mahindra Racing access to Pininfarina’s design expertise, testing facilities and wind tunnel. 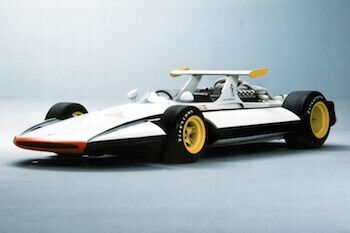 Pininfarina isn't new to single seaters, back in 1969 it created the 'Sigma F1', a highly regarded study of an F1 car that incorporated advanced safety technologies, many of which would go on to be incorporated by motorsport in the future. 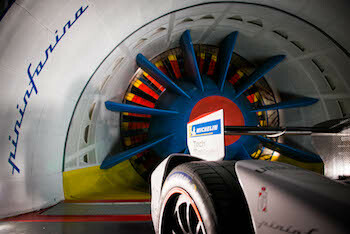 Pininfarina, will also become a sponsor of the Mahindra Racing Formula E team. This enables the team to leverage Pininfarina’s design and technology expertise to improve the performance of its M5Electro race car, currently under development for Season 5 of the Formula E Championship which begins in December 2018. Mahindra Racing is one of ten founding teams – and the only Indian team – to compete in the ABB FIA Formula E Championship, the world’s first all-electric racing series. The M3Electro race car, launched for season 3 which concluded in July 2017, proved to be a competitive package grabbing the team’s first race win, a total of ten podiums, three pole positions and two fastest lap awards. With these strong results, Mahindra Racing secured third place in the Teams’ Championship and rookie driver Felix Rosenqvist took third in the Drivers’ Championship. For Season 4, which kicked off in Hong Kong last month, the team has high technical and sporting ambitions with its newly developed M4Electro race car. This new partnership between the team and Pininfarina will also focus on other areas of design and technology, including Computational Fluid Dynamics (CFD) work and help Mahindra with its ‘Race to Road’ strategy that involves the application of learnings from the race track into the development of new electric road vehicles, in due course. 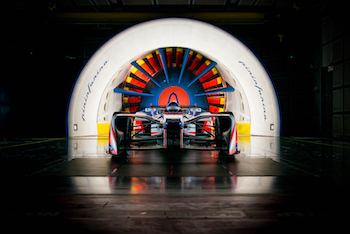 Mahindra Racing will also have access to Pininfarina’s testing facilities in Italy, including its wind tunnel, which will help the team enhance the aerodynamic efficiency of its race car. “The Mahindra Racing Formula E team has had a very successful start to Season 4 leading both the Teams’ and Drivers’ Championships after the first three races,” said Ruzbeh Irani, President (Group Communications & Ethics) & Chief Brand Officer, Mahindra Group. “We are now delighted to welcome Pininfarina and Tech Mahindra as partners, as we gear up to meet the challenges of this new season and beyond. Combining their design, technology and digital skills will significantly augment Mahindra Racing’s existing capabilities and raise the bar as far as our performance is concerned. "This strategic partnership is also aligned to Mahindra’s vision of FUTURise, a creative expression of how we are driving growth through world class innovation in all our businesses,” he added. “We are very proud to be part of the Mahindra Racing Formula E Team and to contribute with our know how and expertise to enhancing the performance of Mahindra Racing’s cars,” said Silvio Pietro Angori, CEO, Pininfarina. “This partnership enhances Pininfarina’s passion for racing and exceptional, environmentally responsible automotive performance.